Bond – A suitably designed conductor electrically connecting together conductive parts. 1. Traction return running rail bonding. 2. Provided to ensure traction return running rails are electrically continuous throughout. 3. 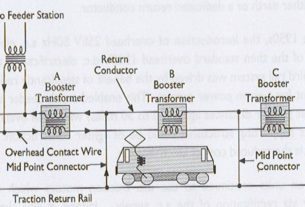 Traction return circuit shall consist of not less than two adequately rated metallic return paths to ensure integrity of system should one path become interrupted In single rail traction return areas, only one running rail of each track is used as traction return rail. – Normally it is the cess rail in order to reduce length of bonds between rail and OLE structures. 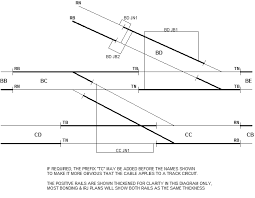 In double rail traction return areas not equipped with track circuits, both running rails of each track are used as traction return rails and earthing and bonding connections may be made directly to either of the rail. In double rail traction return areas equipped with track circuits, both running rails of each track shall be utilized as traction return rails. Earthing and bonding connections can be made to these rails only via impedance bonds. 1. Bonding is required in traction return rails at all points and crossing work when the continuity of traction return rail is interrupted and in expansion joints in continuously welded rail. A bond between traction return rails of the same track or adjacent tracks. At all switching stations and locations where connections to rail are made from earth wires longer than 400 m or from return conductors, all traction return rails should be bonded together. In double rail traction return areas with track circuits this shall be done by connections to the centre taps of impedance bonds. Additional bonds shall be provided such that intervals between successive track to track bonds do not exceed laid down spacing. In areas without track circuits only, the two rails of each track shall be bonded together at buffer stops, toes of points and at intervals not exceeding 400 m.
A bond which is required for track circuit integrity and may also carry traction return current. Bond is identified by Yellow colour. A bond which if disconnected, could under normal operating conditions, result in either the bond, or the equipment to which it is connected rising to a dangerously high potential. Identified by Red colour. Ex. 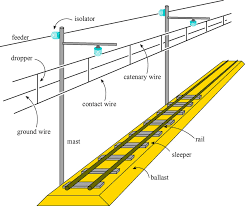 Bonds connected to the running rails from switching stations, return conductors, auxiliary supplies transformers, earthing devices, harmonic dampers etc. 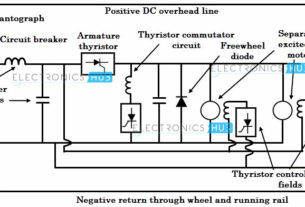 A device which allows traction return current to flow freely, impedes the flow of track circuit current. Used where both rails are traction return rails and are equipped with double rail track circuits. A bond connecting the steel work of an OLE structure of bridge, or other metal structure , to the traction return circuit. S&T is responsible for the integrity of all Rail joint bonds, of all insulated joints, of all rail to impedance bond connections and connections between impedance bonds on the same track and for identification marking of the traction return rail. AEM or equivalent officer shall be responsible for the integrity of all other permanent traction bonding.